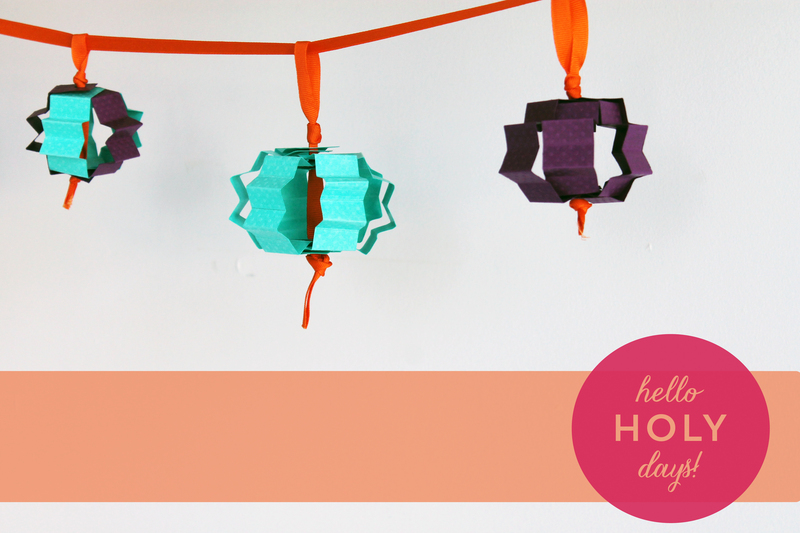 Paper Lanterns Craft – Hello Holy Days! One day, while I was working at Chatelaine last summer, my boss asked me to craft a round paper ornament. She was inspired by a craft she saw at an event hosted by Michael’s (the craft store) in NYC. 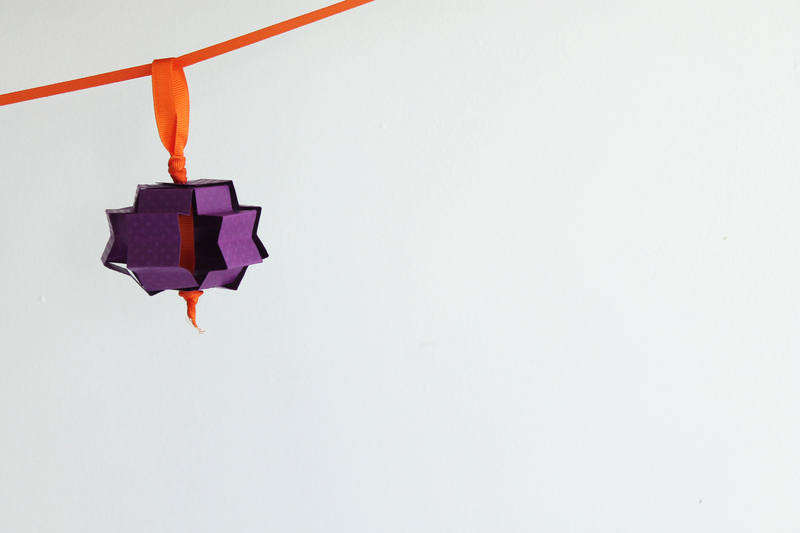 She gave me the how-to for this paper ornament and I set off to work. 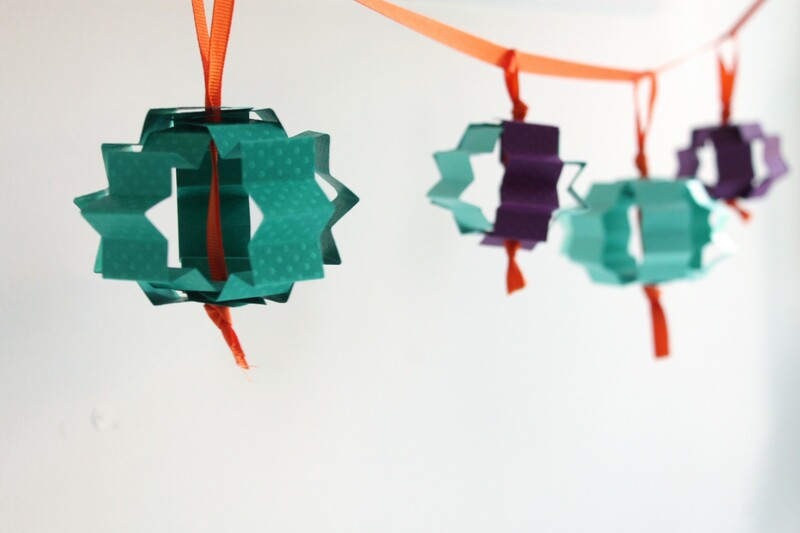 The round paper ornament was really easy to make and took less than 20 mins. It was a slow day at the office and I had time on my hands so I asked my boss if I should experiment with these ornaments – you know, create new forms. She was all for it and so I spent the rest of the day just experimenting. I guess a bit of who you are seeps into everything you create. That probably explains how I derived a Moroccan inspired shape from a round Christmas ornament. So, since these lanterns are very “Moroccan” and all, I think they would make an adorable decoration for Ramadan. 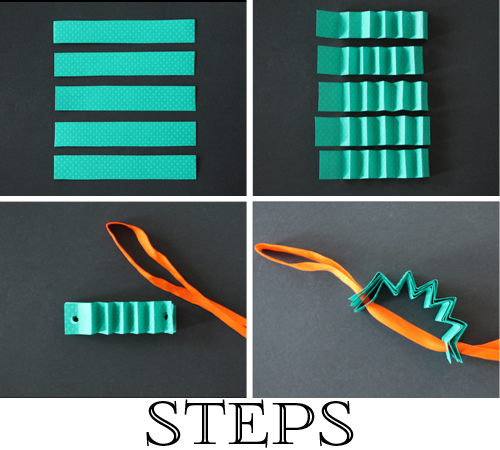 They’re really easy to make so you can make a bunch and then string them on a piece of ribbon to create a decorative garland to hang in your home. 1. Cut out 5 strips of cardstock paper, 6″ long and 1″ wide. 2. Leaving an inch on the left side (that will be the top of our lantern), accordion fold the strips every 1/2″. To help yourself out, you can use a ruler to mark where to fold. It’s important that the folds of all the strips line up (more or less) to get a clean looking lantern. 3. Hole punch both ends of the strips and stack the strips on top of each other. 5. String the ribbon through the other end of the strips as well and tie knots on both ends. Fan out the strips and you’re done! You’ll need to adjust the top/bottom of your lanterns with your fingers a bit to create a three dimensional 8-pointed star shape that you’re happy with. 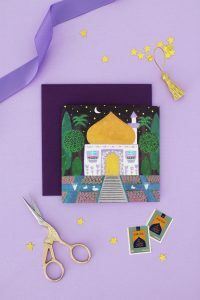 Speaking of 8 pointed stars, I read the most interesting piece about why 8 pointed stars were so common in Islamic art and architecture. It’s a pretty mystical explanation but I find it fascinating. So there we have it – one reason as to why 8 pointed stars were so popular in Islamic art and architecture.